250 participants at the 6th annual ’Beredskapskonference’ in Tromsø applaud Ole Ditlev Nielsen, Chief Commercial & Safety Officer for ESVAGT, the proud recipient of the ’Beredskapsprisen’ on behalf of the shipping company. This was the reason the committee that organises the ’Beredskapsprisen’ The Emergency Preparedness Award gave for choosing ESVAGT as this year’s winner during the emergency services conference in Tromsø this June. 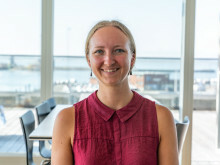 The ’Beredskapsprisen’ is considered to be a particularly prestigious award within the industry and is among the best awards offered in the Norwegian offshore industry. It is presented at a conference held by Fagforbundet Industri og Energi, the national trade union for industry and energy, and Norsk Olje og Gass, Norwegian oil and gas. 250 representatives from all branches related to the Norwegian offshore industry take part in the conference. ”The recipient of the ’Beredskapsprisen’ has focussed on providing standby emergency services from the very beginning. The company’s core values have always been the same, where continual improvement, proactivity, honesty and motivation are central,” were just some of the kind words. ”The prize is a major recognition for the work that ESVAGT stands for. It is not just a tribute to the work we do today but also, and to a large degree, recognition for the work that the company has done throughout its lifetime since it was founded in 1981. ”The award is a sign that we are still considered one of the best and that our way of operating is appreciated. 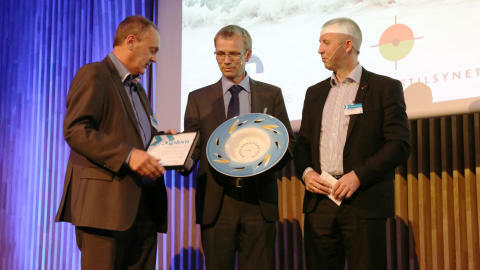 Receiving such an award in the Norwegian sector is a very big honour. This area is known for demanding high standards for safety, quality and innovation – and is also our largest area in terms of number of vessels and crews. It is a demanding area to perform in – but we do. We are therefore delighted to receive the ‘Beredskapsprisen’, especially as we are the first foreign operator to do so,” he says.